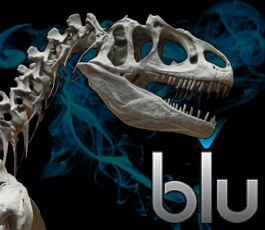 For the average person, when the topic of e-cigs comes up the first company that pops to mind is Blu. Purchased by Lorillard in 2012, the company plunged millions of dollars into marketing and distribution, landing their products on television and in almost every convenience store around the nation. With the backing of Big Tobacco, Blu has become the most recognized brand of e-cigarettes in the country, but for an “educated” vaper like myself, Blu is not even on the radar when it comes to satisfying or effective products. Not surprisingly, Lorillard reported a 40% drop in electronic cigarette sales in the third quarter of 2014; that’s two consecutive quarterly drops in sales while the rest of the e-cigarette industry is booming. Lorillard bought its way into the e-cig market by purchasing Blu, arguably one of the largest and most recognized brand of e-cigarettes at the time. Although the company made $38 million from Blu in the 3rd quarter of 2014, the trajectory appears to be downward. And if recent surveys are any indication, the outlook for “cigalike” products that resemble the real thing aren’t very good. ECF is primarily made-up of experienced e-cig users, and when asked about the type of products they use, only 4% said they used “rechargeable minis” or disposable e-cigarettes like those produced by Lorillard (Blu), Reynolds (Vuse) and others. This is likely due to the lower performance, reduced vapor production and shorter battery life of these products. Although Blu offers cherry, vanilla and a few other non-traditional flavors, tobacco and menthol flavors are the most widely distributed options. Not only do vapers prefer non-traditional flavors such as fruits (30%), desserts (20%), candies (4%) and others, but they like to experiment with different varieties and rotate them regularly. This is most easily accomplished with 2nd generation refillable “tank-style” systems, not disposable or cartridge-style products like Blu. Big tobacco companies haven’t exactly won the support of their old customers. Years of false advertising, misleading research and blatant lies about their products have led many to mistrust and despise Big Tobacco. When asked “would you knowingly purchase a device made by one of the major tobacco companies,” 71% of respondents in the ECF survey said NO. One of the biggest problems facing tobacco companies, besides the inherent distrust and hatred they’ve inspired, is the inability to quickly adapt to evolving vaping technology. Their core products, combustible tobacco cigarettes, haven’t changed in decades and they’re not structured to keep pace with this rapidly evolving industry. Just a few years ago “cigalike” products like Blu dominated the market, but new advancements in technology have made these products virtually obsolete. Blu e-cigarettes are heavily marketed and widely available across the country, but as word spreads about newer, better products, users will continue to shy away from these DINOSAURS of the e-cig industry. Reynolds announced it’s plan to purchase Lorillard (Blu) and focus it’s efforts on it’s Vuse line last year, but it’s hard to imagine the trend will change. It’s safe to say that mid-size, “eGo-style” vape pens are the new standard when it comes to providing consistent, satisfying performance, and powerful e-cigarette box mods are taking the industry by storm, making it possible for relatively novice users to experience high levels of performance at a reasonable price.